FOSIS – Federation of Student Islamic Societies – Muslim Museum UK – Uncover the 1400 year relationship between Britain and Islam. Explore the history and heritage of Muslims in Britain. 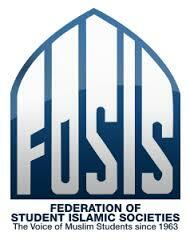 The Federation of Student Islamic Societies (FOSIS) is a national umbrella organisation aimed at supporting and representing Islamic societies at colleges and universities in the United Kingdom and Ireland. It was formed in July 1963 at a meeting held in the Cadbury Room at the University of Birmingham. At this meeting, representatives from different Islamic societies agreed to form a national body to look after the interests of Muslim students at universities. 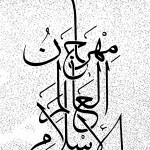 Founding members included Islamic societies from the University of Birmingham, University of Bristol, University of Dublin, Imperial College (London), University of Leeds, London Islamic Circle, Muslim Student Society UK, University of Oxford, School of Oriental and African Studies (London), Sheffield Islamic Circle, Wolverhampton Malayan Teachers College.